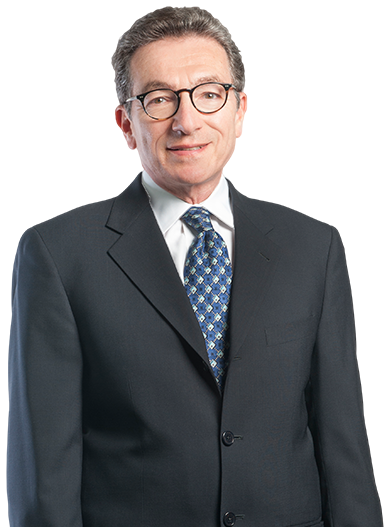 Richard Goldstein’s legal experience, which extends for almost 40 years, has included representation of developers, lenders and borrowers, landlords and tenants, buyers and sellers. Rick has been involved in such notable developments as Cherry Hill Mall, Voorhees Town Center, Franklin Mills Shopping Mall, Neshaminy Mall, Garden State Pavilions Shopping Center, and Elisburg Shopping Center, and has served as development counsel for projects on behalf of Thomas Jefferson University Hospitals and on behalf of the developer of the Penn Medicine/Cherry Hill facility. At the same time, Rick has represented many developers of smaller projects ranging from neighborhood shopping centers, convenience stores, restaurants, self storage facilities, and private schools. His practice regularly includes complex leasing and acquisitions. Much of Rick’s practice focuses on his efforts to secure zoning and land use approvals from local municipalities throughout the Philadelphia Metropolitan Area and New Jersey. His extensive experience has also included development of challenging sites through the use of creative redevelopment, rehabilitation and overlay ordinance strategies. Rick is sought out regularly as local counsel, to oversee land use due diligence for clients who require his local expertise to guide their acquisition/development decisions. Over the years, he has developed relationships with key local leaders based upon a shared sense of mutual trust, honesty and respect. Clients have most notably characterized Rick for his efficiency, attention to detail, level of preparedness and accessibility. Rick usually answers his own phone and he returns messages promptly. He is a team player who keeps his eye on the goals set by his client and he creates avenues and opportunities to overcome the challenges that inevitably confront development projects. Rick is the Responsible Attorney for the firm’s New Jersey office. Representation of The Mills Corporation in its acquisition of Liberty Bell Race Track and its subsequent development of Franklin Mills, Philadelphia, Pennsylvania. Real estate counsel to Aldi Inc., a national chain of limited assortment grocery stores, respecting its real estate acquisitions, leases and development. Representation of PREIT Services, LLC and PREIT-Rubin, Inc. respecting its redevelopment of Cherry Hill Mall and Voorhees Town Center. Representation of numerous clients having a significant regional and national presence, including Subaru of American, Thomas Jefferson University Hospitals, Brixmor Properties, RioCan America, Paramount Realty, Patient First, and Equus Capital Partners, Ltd.